The future is now, and no other company out there knows that as well as ROCCAT. So The Escapist is giving away some bleeding edge tech for you to use while pwning noobs. Are you ready for the future? Well we want you to be ready, so we're giving away some cutting edge gaming gear: the ROCCAT Isku Illuminated Gaming Keyboard, ROCCAT Kone XTD mouse, and the ROCCAT Siru Gaming Mousepad. The Isku isn't your father's keyboard - it's made for gaming, with thirty-six easily reachable macros positioned so you don't have to waste precious time looking down at your keyboard wondering where exactly it is you set up the attack key. The keyboard has a plethora of other features that take it to the bleeding edge. The Kone XTD gaming mouse is going to help give you that extra precision you've been needing when playing that FPS you kids love playing so damned much. 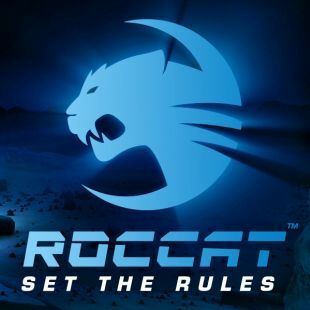 The people at ROCCAT know what you need and are stepping up to the plate to deliver you the best products around. We at The Escapist know that every click counts, which is why we want you to be at the top of your game. Whoever wins the Grand Prize will win all three items, making them pretty unstoppable when crushing all of that damned candy. These great pieces of technology will certainly bring your game up past noob level; we want you to pwn all of the noobs that don't have access to such glorious gear. If you want to join the 21st century we suggest that you get into the competition, because the contest is only running 'til September 18th - that's only a month, and we know you like to procrastinate . So click here to get started and on your way to becoming that MLG star you know you are.